Make some fun Beauty and the Beast kiss printables for your book club, birthday party, or favorite fan. 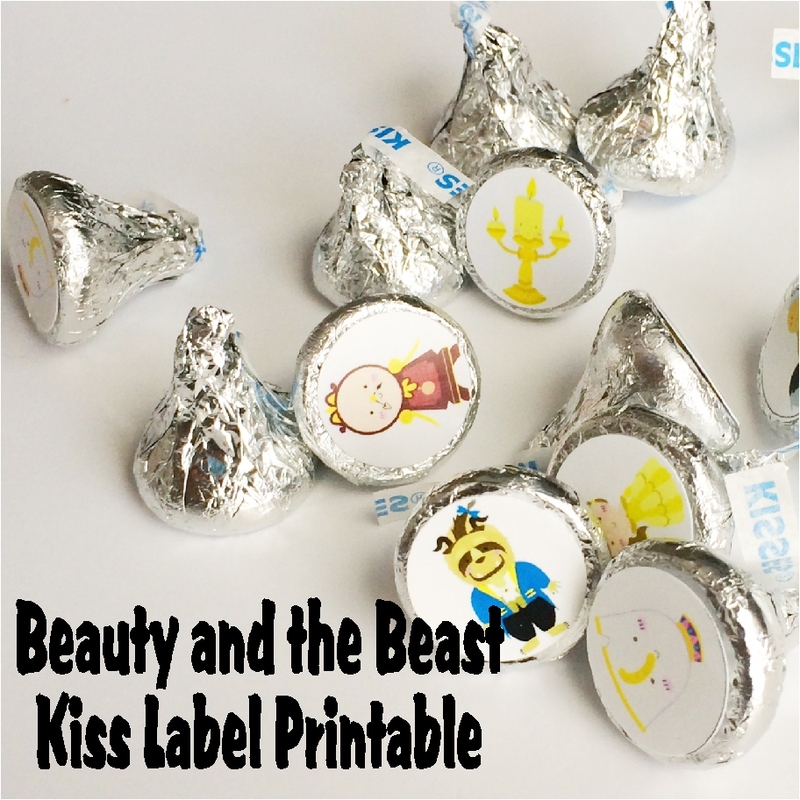 This free printable is great for Hershey kisses or Reeses candies and a good book. Kiss treats are super easy to make. 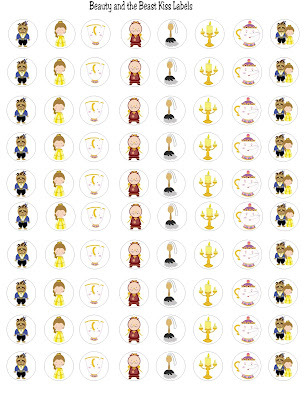 Just save the Beauty and the Beast printable kiss label picture at the bottom of the page here by right clicking on it. Print it out onto photo paper for a glossy, beautiful design. I like to use Kodak photo paper with it's gloss and weight so I get a great result. 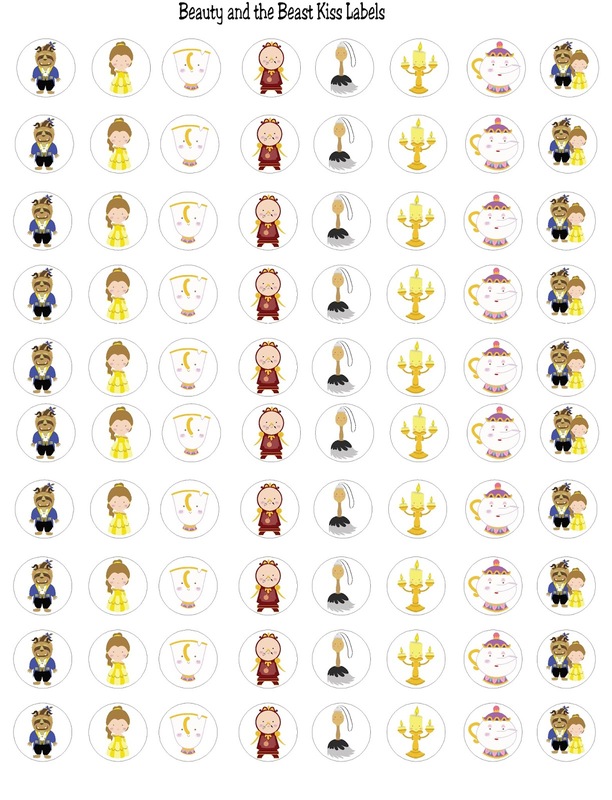 Using a 3/4 inch circle punch, cut out the individual circles with Belle, Beast, Cogsworth, Mrs Potts, Lumiere, Babbett, and Chip. If you are using a Xyron sticker maker, use the adhesive sticker cartridge. It takes a little bit of work to get those little pieces into the Xyron so move slowly and line them up carefully. Roll the stickers through and then line up your next row. It's not hard, it's just a little bit of time. Or you can use a glue gun to put a little bit of glue on the back of each sticker and put it onto the kisses. Now you have a super easy and fun treat for your next Beauty and the Beast book club or party.